Orbital data reconstructed from radio tracking and later optical observations confirmed the satellite’s orbital parameters consistent with the Topaz radar reconnaissance constellation with the notable change of orbital inclination suspected prior to launch. Although the U.S. National Reconnaissance Office, operator of all American spy satellites, goes through great lengths to keep its activities secret, the satellites it operates are often revealed through occasional information leaks as well as analysis of launch vehicle capabilities, clues found in their mission insignia and orbital activities observed by a worldwide community of satellite trackers. For NROL-47, the case appeared pretty clear even before launch as the unique launch azimuth – taking Delta IV south-west from its Vandenberg launch pad into a characteristic retrograde orbit – very loudly spelled ‘Topaz’ as the identity of the satellite since no other modern-day U.S. reconnaissance program operates at orbital inclinations over 100 degrees. 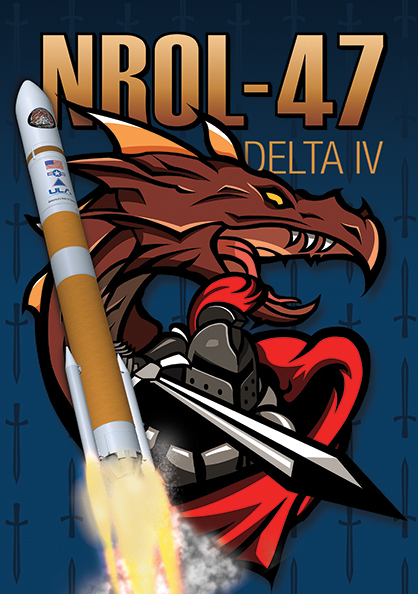 The theory of NROL-47 being the fifth Topaz satellite was backed up by the use of the Delta IV M+(5,2) which has exclusively flown with Topaz. However, one departure from the previous four Topaz missions was found in the launch azimuth for the NROL-47 mission: for Topaz 1-4, the hazard areas identified in broadcast warnings pointed straight to a 123-degree orbit from where the satellites are operated, but the hazard areas issued for Friday’s mission indicated an inclination of around 109 degrees if no out-of-plane maneuvering was to be performed during ascent. 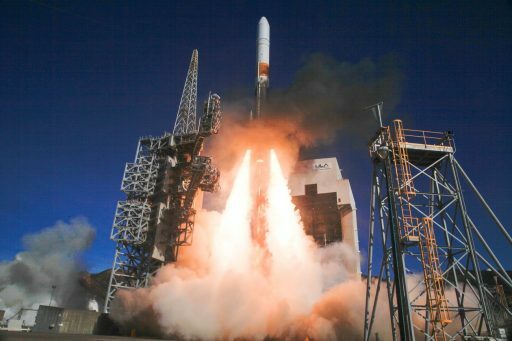 Delta IV leapt off its SLC-6 launch pad at 22:11 UTC with a thrust of 470 metric-ton-force provided by a pair of Solid Rocket Motors and the single RS-68A main engine, the most powerful hydrogen-fueled engine in operation. The solids dropped away around 100 seconds into the flight and Delta IV had reached space by T+3 minutes and 12 seconds when it separated its two payload fairing halves and entered the typical News Blackout in place for NRO missions to allow the satellites to reach their secret orbital destinations without the public watching. 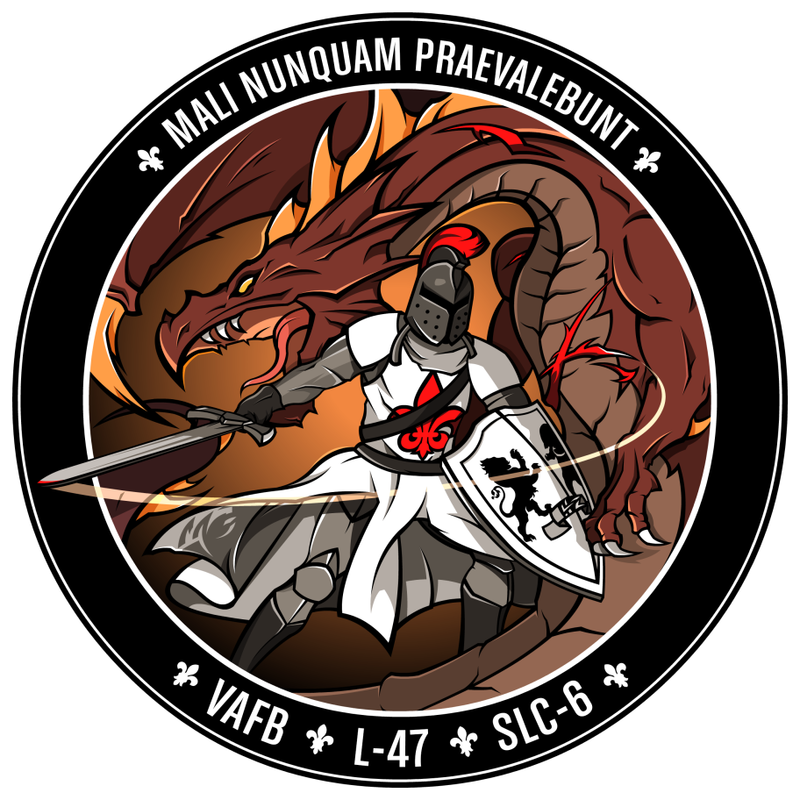 United Launch Alliance and the NRO officially confirmed the successful conclusion of the launch around two hours and 20 minutes into the mission – confirming NROL-47 was separated into its planned orbit. 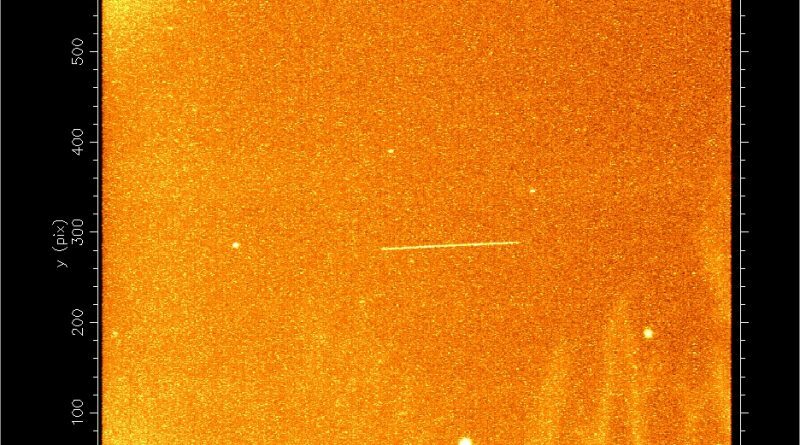 By that point, Scott Tilley, a satellite tracker based in British Columbia, had already recorded the first radio pass of the satellite within minutes of it separating from the Delta IV upper stage. 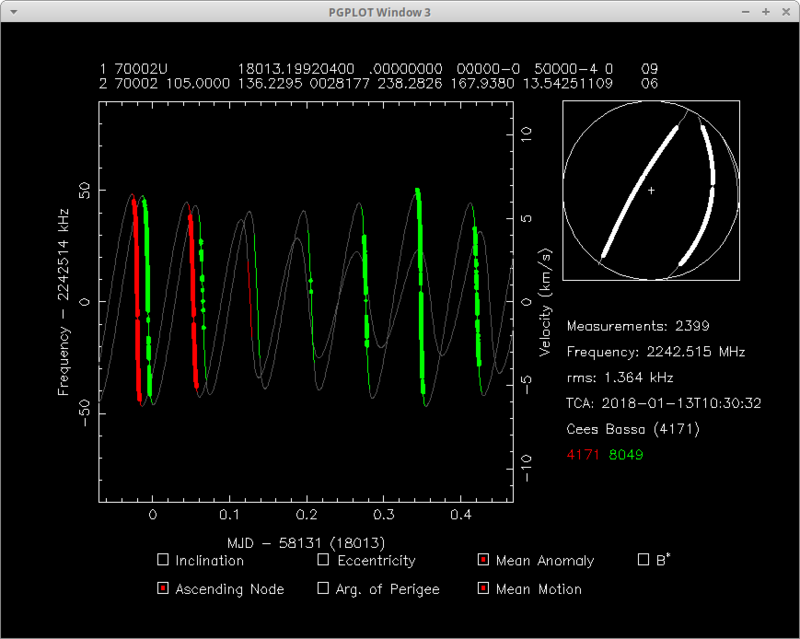 Recording the known 2242.51 MHz S-Band frequency in-line with the previous Topaz missions, Tilley was quickly able to confirm the satellite’s transmissions to be identical to the four predecessors. 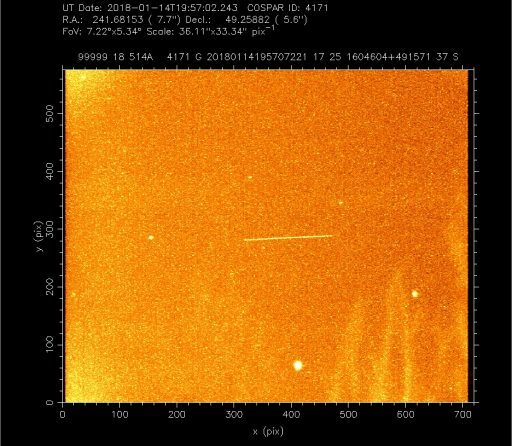 Three hours after launch, NROL-47 made its first free-flying pass over Europe where observer Cees Bassa had set up his equipment to collect additional Doppler Measurements, coming to the same conclusion as Tilley. 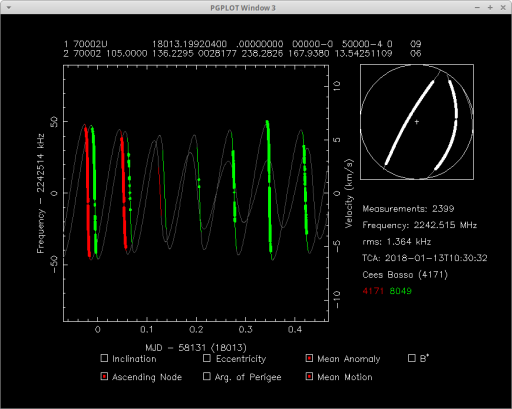 The two trackers were able to assemble a comprehensive set of radio observations, recording the satellite on twenty of its first 22 orbits around Earth. This orbit confirms the fifth constellation satellite was indeed targeting a different orbital inclination and Delta IV added a few degrees beyond what was evident in the launch azimuth. The motivation behind this may be to broaden the latitude coverage provided by the Topaz constellation by having Topaz 5 cover latitudes between 74°N and 74°S while the other four satellites orbit in an orchestrated constellation optimized for high-revisit coverage between 57°N and 57°S where most of the current political and military hot spots are located. A similar pattern was seen for the Lacrosse/Onyx constellation, the first large radar reconnaissance system of the U.S. that launched five satellites between 1988 and 2005 – three orbited at inclinations of 57 degrees (the prograde equivalent of the Topaz 1-4 orbit) and two satellites operated at a higher inclination of 68°. Consequently, with the last Lacrosse satellite likely going out of service with NROL-47’s arrival, there likely was desire to ensure coverage between the Topaz satellites could match that of their predecessors in terms of the latitudes that can be observed. The orbital altitude seen for Topaz 5 is in-family with the rest of the constellation members that all started out slightly below their operational altitude of 1,100 Kilometers. It would be expected for NROL-47 to raise its orbit over the coming weeks as it completes commissioning tasks before starting actively collecting high-resolution radar imagery. Based on previous Topaz missions, the satellite starts out as a fairly faint object before a noticeable brightening occurs several days after launch, likely as the result of the deployment of the radar antenna. Information leaked in 2013 not only confirmed the designation ‘Topaz’ but also that there would be five Topaz Block I satellites before the program would move on to a Block II version. These do not yet appear to be on the NRO launch manifest and it remains to be seen whether the upgraded Topaz version will keep using the unique retrograde orbit that has the current program stand out among the U.S. reconnaissance fleet. 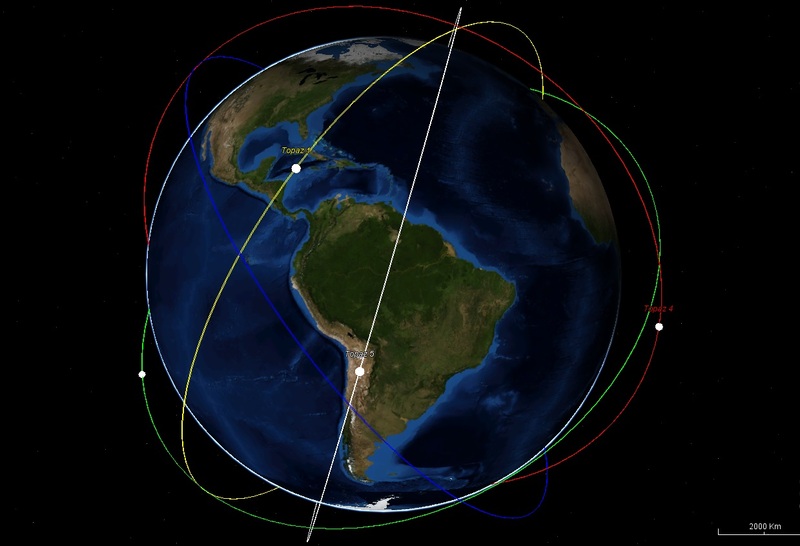 There is no official information on why a retrograde orbit was chosen for Topaz, but the combination of the satellite’s orbital velocity to the west and the Earth’s eastward rotation leads to a greater ground speed for the satellite which can have implications on the resolution of active radar imaging systems. Radar Reconnaissance has become one of three pillars of modern-day, space-based intelligence-collection, the other two being optical imaging in various wavelengths and electronic/signals intelligence collected by intercepting foreign communications and vacuuming up entire satellite links. The advantage of radar is its ability of day-and-night imaging and cloud penetration, allowing foreign sites to be imaged whenever a satellite passes overhead. Radar can also penetrate foliage to reveal what is hidden from optical satellites and recent space-based radar developments have also made ground penetration up to several dozen meters possible through the exploitation of novel frequency bands.